Buy your Osaka souvenirs here at Osaka-jo Honjin! A line-up of original goods you'll find only here, from practical things like T-shirts and towels to goods like miniature Osaka Castles and fridge magnets, to name some especially popular items. We also have a range of popular boxed sweets. 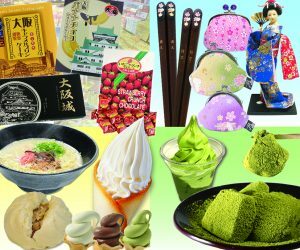 Then there's our take-out corner, with matcha green tea sweets using the powdered green tea from Kyoto that's so popular right now - even matcha beer, as well as soft serve, ramen noodles, and Japanese-style deep-fried chicken nuggets. Tully's is a specialty coffee shop originating from Seattle. 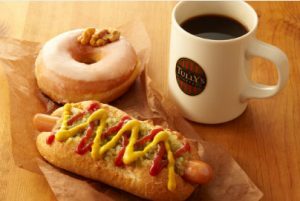 Tully's uses select beans from around the world, roasts them in Japan, and its espressos are carefully made using a hand-operated machine, one-by-one, only after an order is placed. Top quality is sought at every stage of the process. A big menu of over 30 different beverages, and sweets, hot meals, and more that go just right with the coffee. 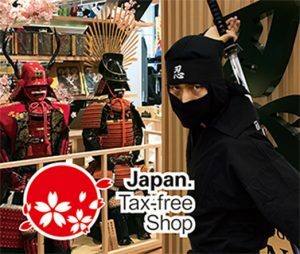 Ninja goods and other goods from Japan's Warring States period - everything for a history buff or Japanophile to love. Our hands-on corner includes the "Shuriken Arena," where you can try throwing the shuriken circular blade that was a ninja weapon, or get your picture taken with a ninja-attired staff member. And, of course, there's a whole lot of Osaka Castle souvenirs to choose from, too! 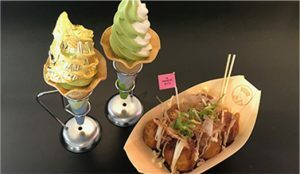 DTakoyaki, Rikyuyaki, and Desserts, etc. Osaka is famous for its dumplings. 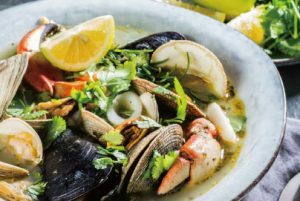 We want the whole world to try these traditional foods, from our 21st century castle town. Try our piping hot takoyaki octopus dumplings! Try them unseasoned, or with lashings of our special thick, country-style sauce with spicy toppings. Come and try local Osaka food in a boisterous, carefree, eat-as-you-like atmosphere. 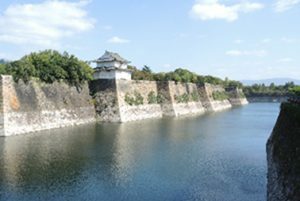 The site of Osaka Castle has been recognized as a Special Historic Site. Learn about its history and the highlights from inside this historical landmark. Landmark Square was conceived truly as a landmark for Osaka, a cosmopolitan city resonating with the "cool Japan" vibe loved the world over. Restaurants, bars, events, parties and more - a new, updated face of what makes Japan a great place to visit. 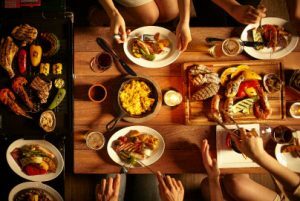 Enjoy top-class food and services in a stylish space that breathes history and tradition, for an out-of-the-ordinary experience to be had only here. Italian based dining fused with elements of Asian and ethnic ingredients and techniques - a truly neuveau cuisine that forges its own path. We approach cooking with a playful spirit, creating photogenic dishes that charm the diner in new, fresh ways: a form of gourmet theater. We offer a line up of wine and local beers. 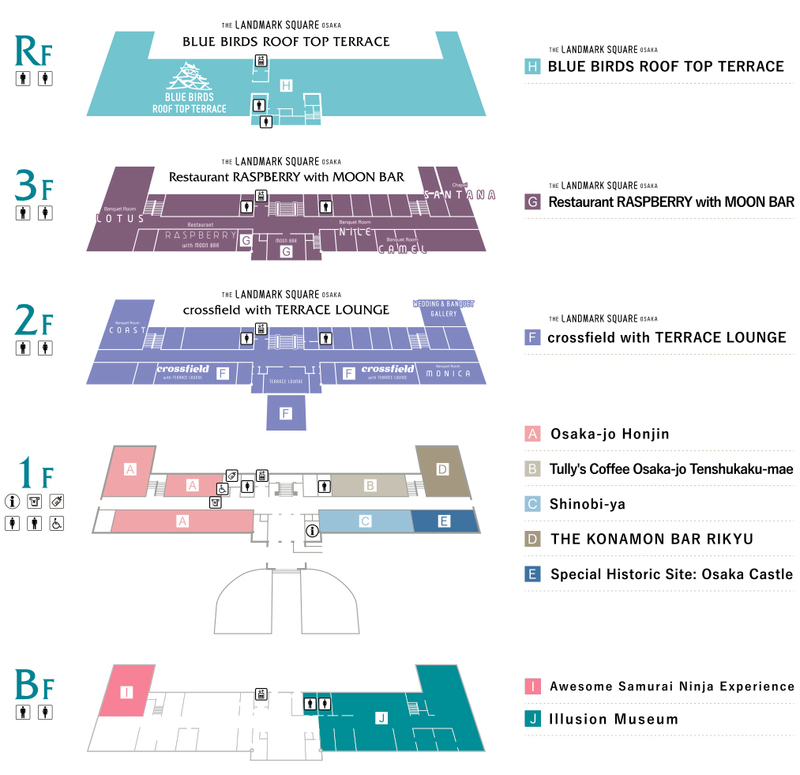 Enjoy freewheeling dining that caters to the tastes of Osaka. Luxury French-based dining with creative dishes that use local produce primarily from around Osaka. 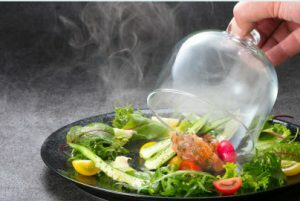 Enjoy flavors to be had only here, prepared and served with originality that shows in everything from ingredients to cooking method, to serving style. On the rooftop floor of MIRAIZA OSAKA-JO, for terrace dining with a panoramic view of Osaka castle and Osaka Castle Park. Enjoy our barbeque and buffet from spring to fall, and a line-up of events all year round. More than just for dining, this is a place to appreciate the beauty of the seasons and various artistic endeavors. Learn how to swordfight in the way seen on stage or in movies. 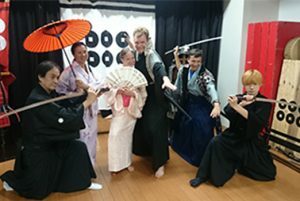 Instructors are on hand to teach you in a fun, easy-to-grasp way, providing you with insights into Japan's samurai culture. Change into a kimono and learn it all, from sitting seiza and performing proper salutations, to holding the katana, brandishing it, and practicing sparring with a partner. The climax is you performing a one-minute swordfight scene with a samurai opponent. Have fun turning yourself into a samurai or ninja! Magic, tricks and illusions from East and West, ancient and modern, all under one roof! Produced by none other than Magus, the first Japanese magician in 20 years to win the Merlin Award, which is like the Academy Award of the world of magic. Enjoy an exhibition on the history of magic worldwide, an area where you can try your hand at illusions, and a show of mind-boggling magic right before your eyes - all at this new style of museum never seen before.